Vincent Steckler’s journey from programmer to CEO of a multibillion-dollar business makes for a fantastic story – but it’s no fairy tale. Steckler had to work hard to earn two bachelor’s degrees at the University of California, Irvine – one in mathematics and the other in information and computer science. His parents, who never had the opportunity to go to college themselves, instilled a strong work ethic in Steckler and his four siblings from an early age. Although he describes himself as a “geek”, Steckler only spent a further two years coding before realising management was a better fit for his particular set of skills. Steckler always sets out to challenge his staff, but aims to inspire them too, understanding that passion ultimately leads to higher levels of performance and better products. In 1999, Steckler was faced with his own challenge, becoming the subject of an investigation into fraudulent conduct by the US Securities and Exchange Commission (SEC) while working at Logicon. According to the complaint, Steckler aided and abetted fraudulent activity carried out by sales executives at Legato, a software development firm. The end result was a $35,000 (€30,070) civil monetary penalty and the issuance of two cease-and-desist orders against him. For what it’s worth, Steckler neither admitted nor denied the SEC findings. Still, he certainly hasn’t allowed the incident to cloud the rest of his corporate journey. In 2009, Steckler became the CEO of Avast, a hugely successful global technology firm based in Prague. During his near-decade in charge, Steckler has used his extensive knowledge of the technology world to expand the company’s reach into new markets. If Steckler’s story is one of hard graft, setbacks and steady progress, then it’s easy to see why he was initially drawn to Avast. Founded as Alwil by Czech entrepreneurs Eduard Kučera and Pavel Baudiš in 1988, Avast had to navigate significant economic challenges as Czechoslovakia moved away from communism and towards a market economy. Despite facing financial difficulties throughout the 1990s, the raft of awards and positive reviews Avast received from security experts enabled the company to continue growing its user base. By the time Steckler came on board in 2009, Avast was achieving $18m (€15.5m) in annual revenue and had more than 20 million users. Although its growth had been impressive, Steckler knew the business remained a long way from reaching its potential, describing it as a “diamond in the rough”. One of the principal reasons for Steckler’s assertion was the fact the business lacked a discernible management structure. Of 40 employees, Avast had 38 software engineers, one individual handling finance and another working across marketing and sales. There was no CEO in sight. From his time at rival anti-virus firm Symantec, Steckler had gained a wealth of experience concerning the industry’s different markets and how to permeate them. Under his vice presidency, for example, Steckler transformed Symantec’s worst-performing market – the Asia-Pacific region – into its best in less than three years. Similarly, Steckler wasted no time in putting his experience to good use. By concentrating on online marketing and targeting markets individually, the LA-born CEO was able to substantially grow the number of Avast users around the world. The result of Steckler’s approach was extraordinary: the company’s user base grew to such an extent that, by 2015, it had approximately 700 members of staff based in Prague, Asia and the US. Perhaps the most significant growth driver to take place under Steckler’s stewardship, however, was the $1.3bn (€1.12bn) purchase of competitor AVG Technologies in July 2016. Speaking at the time, Steckler explained the reasons behind the purchase: “We are in a rapidly changing industry, and this acquisition gives us the breadth and technological depth to be the security provider of choice for our current and future customers. With the AVG brand coming under the Avast umbrella, the business scaled up significantly; Avast is now the largest global provider of household IT security, with 290 million desktop users, and the second-largest mobile provider, shoring up the defences of an additional 145 million users. What’s more, by combining the companies’ technological resources, Avast’s software engineers could draw on additional expertise when tackling cyberthreats. This bore fruit last year when a module developed as part of an AVG product helped Avast safeguard its users against the WannaCry ransomware attack. As Avast has grown, Steckler’s customer acquisition strategy has remained centred on creating the best product possible and, in that sense, the CEO is simply maintaining the company’s pre-existing ethos. However, his ability to add structure to Avast’s many software development processes has certainly helped the business to mature rapidly under his leadership. Avast has always embraced innovation and a willingness to try new things. The company was one of the earliest adopters of the ‘freemium’ business model, which is now ubiquitous in the tech world. But while this approach allowed Avast to create a loyal user base early on, the firm struggled to convert free users into paying ones. With Steckler’s background in the industry, identifying some of the key stumbling blocks that were preventing Avast from monetising its product was relatively straightforward. Before his arrival, users of Avast’s anti-virus software would not be asked whether they wanted to upgrade to the premium version for at least 15 months. Steckler realised there was a delicate balancing act to be managed if Avast was to ensure it gained more paying customers without alienating some of its existing users. Sending too many emails prodding users in the direction of the premium version would likely result in uninstallations; sending too few would limit revenues. In the end, the decision was made to switch to a 30-day registration period, after which there would be the opportunity to upgrade. Although it may sound like a simple solution, it resulted in a significant growth in business. The freemium model that Avast has long championed – and that Steckler further developed at the firm – has proven successful because it enables user numbers to increase rapidly, leverages network effects to boost market share, and encourages users to be the co-creators of value. Both independent app developers and tech giants, such as Spotify and Skype, have since adopted it. Despite the company’s success, Avast has remained true to its roots. Still headquartered in Prague, Avast has managed to become the most popular anti-malware application in the world without relocating to one of the more fashionable technology hot spots. In fact, although the firm has invested in several international branches, approximately 1,000 of its 1,700-plus employees are based in the Czech Republic. Of course, this doesn’t mean Avast has closed itself off from external inspiration. On the contrary, Avast has a number of partnerships with technology companies based in the US, while its headquarters boast a Silicon-Valley-inspired office space. 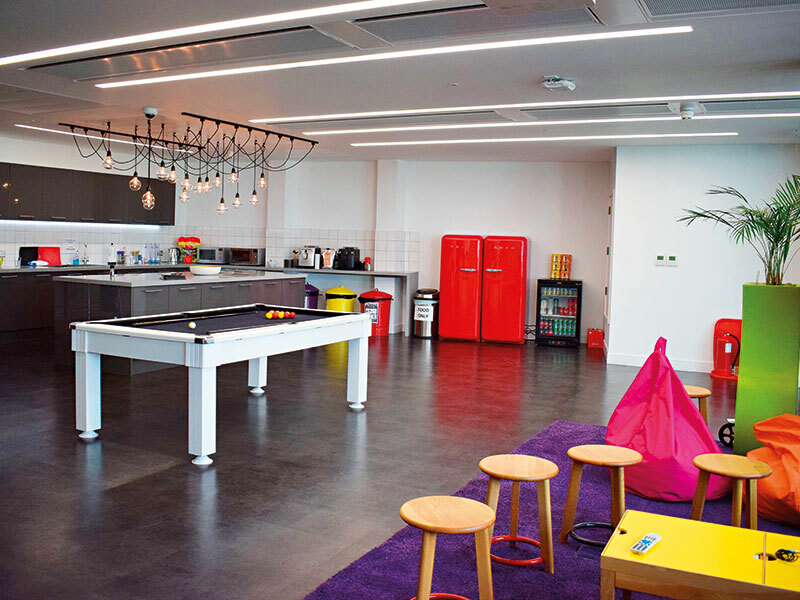 Steckler has been the major driving force behind the transformation of Avast’s workplace, which now includes all the major hallmarks of a West Coast tech start-up: hammocks, a gym, a recording room and a cafeteria led by celebrity chefs. In an interview with European CEO, Amar Singh, CEO and founder of the Cyber Management Alliance, identified “the employment and retention of highly skilled cybersecurity researchers” as one of the key challenges facing anti-virus firms at the moment. The workplace environment created by Steckler, therefore, directly impacts the quality of Avast’s anti-virus products. Steckler is also well aware of the important ethical role played by today’s major businesses. The Avast Foundation was launched just a year after he joined the business and concentrates on “supporting quality of human life, self-sufficiency and the right of the individual to freely make decisions about their life”. As a charitable organisation that receives a percentage of Avast’s business profits, it has been able to make a difference to the lives of disadvantaged people the world over. Developing a creative working environment and launching community initiatives will certainly help maintain Avast’s good image, but the company is still operating in an extremely competitive industry. 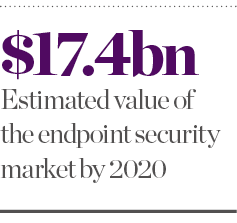 The endpoint security market, which includes anti-virus software, firewalls and related technologies, is forecast to be worth $17.4bn (€15bn) by 2020. Avast has to compete with other well-established firms like Symantec, Kaspersky and McAfee, as well as a number of independent anti-malware vendors. In order to stay on top, Avast took the decision to go public in May. The listing on the London Stock Exchange raised £147.4m (€167.4m) in new capital after its first day of trading and was one of the UK’s biggest ever technology listings. The extra funds raised by the listing will help the company repay existing debts and, according to the company’s CEO, “support further growth”. 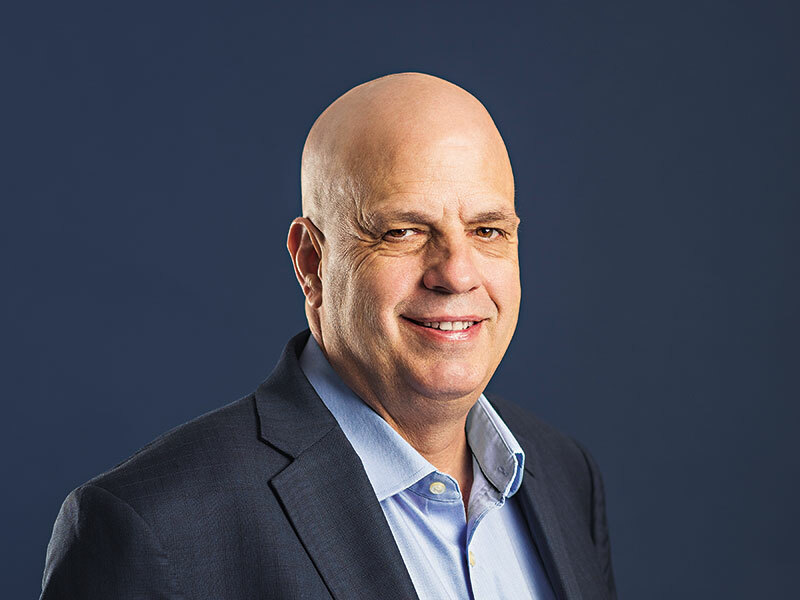 Although Avast’s upward trajectory has brought Steckler plenty of praise, his time as CEO has not been without its setbacks. Last year, Avast was connected to a huge malware attack that targeted CCleaner, a system clean-up application. The attack happened prior to Avast’s purchase of Piriform – the application’s developer – but the fact 2.3 million devices were infected reflected poorly on the anti-virus firm. The CCleaner malware attack demonstrates the challenges anti-virus firms face when attempting to grow and acquire new businesses. It also shows just how difficult it is to keep on top of the constantly changing malware landscape. Fortunately, Avast acted swiftly to protect CCleaner’s users: working in partnership with the FBI, Avast was able to shut down the cyberattackers’ command-and-control server within just three days, preventing further breaches. To demonstrate the importance of the situation, Steckler personally updated users of the ongoing investigation via the company’s blog. It is testament to Avast’s high security standards that Steckler has not had to publicly address security issues often, particularly with the threat landscape developing at a rapid pace. Currently, Avast prevents two billion attacks every month and this figure is only likely to grow as new attack vectors are developed. Well aware of the need to update its cyber-defence tools on a regular basis, Avast has begun to incorporate behavioural analytics into its suite of anti-virus tools. Behaviour Shield is now included within all versions of Avast 2017 and monitors all PC programs for uncharacteristic behaviour. In doing so, it protects against spyware and other malicious programs, proving to be particularly adept at tackling ransomware. As a student at the University of California, Steckler’s favourite classes were those focusing on artificial intelligence (AI). Back then, he was fascinated by the LISP programming language that became favoured within the AI research community. The field has come a long way since then, with advanced machine learning tools now forming the bedrock of the cybersecurity industry. Steckler’s own background, therefore, ensures Avast will avoid complacency while it resides at the top of the industry. Steckler is well aware the technology sector moves quickly, and companies that let their guard down are those most vulnerable to attack.